Has your clutch stopped working and you don’t know why? Have you heard strange clattering and you can’t pinpoint the source of the issue? Get in touch with the Brake and Clutch Depot without further delay, so we can carry out an inspection on your clutch. Our team of expert mechanics will carry out a thorough check to establish exactly what the issue is. We have the skills and capabilities to repair a wide range of common clutch problems including but not limited to clattering, slipping and sticking pedal. Customers all over Dorset have come to rely upon our excellent clutch repair services over the years. Clutches don’t last forever and all vehicles will need a replacement unit at some point. The more miles you do in your vehicle, the more wear your clutch will experience. 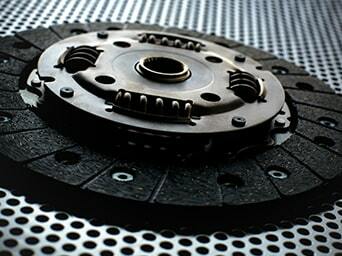 The facings on the clutch disc are known to wear over time, which can eventually become a safety hazard. Send us a message or give us a call on 01202 532373 ! Brake and clutch were fantastic when dealing with my car, brilliant service, if i ever have any more issues i will be sure to return there! Book in with us today ! When it comes to clutches, it is always best to take a proactive approach and make sure an easily repairable issue is taken care of before it has the chance to escalate. 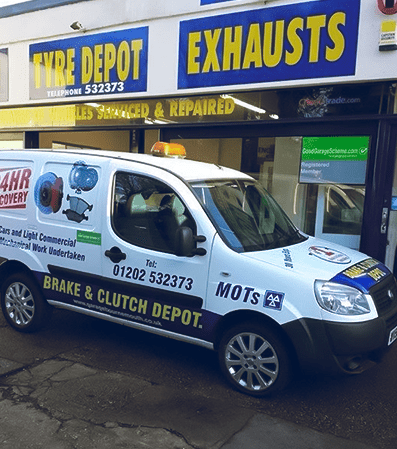 Make sure your clutch is in good working order and book your motor into the Brake and Clutch Depot in Bournemouth today! Because clutches generate heat and friction when they are utilised, they will eventually experience wear or warping. 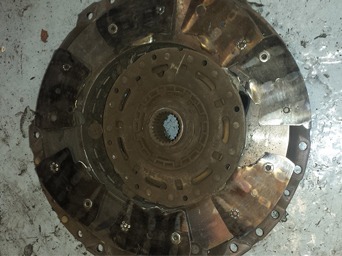 The clutch pressure plate and flywheel will eventually crack – it is best to stay one step ahead with regular inspections and maintenance checks. As you will be able to tell from all of the above information, clutches are affected by a wide range of factors that are out of the driver’s control. Our team of expert mechanics has dealt with all of these issues before. Whichever affliction may be affecting your system, bring your vehicle to the Brake and Clutch Depot soon. We will identify the source of the problem and recommend the most appropriate service based on the findings. Brake & Clutch Depot ©2018. All rights reserved.